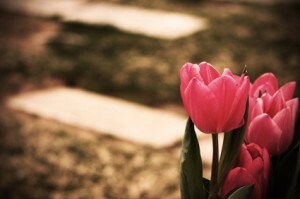 Who May File a Wrongful Death Claim in Arizona? | Phoenix Personal Injury Law Blog - Breyer Law Offices, P.C. blog home Personal Injury Who May File a Wrongful Death Claim in Arizona? When the negligence of a person or company causes a fatal injury, the victim’s family left behind may choose to file a wrongful death case. This allows people who’ve lost someone close to them hold the negligent party accountable and get compensation for medical expenses, funeral costs, lost earnings, lost care and companionship. If the wrongful death victim was a child under age 18, either parent may file a wrongful death claim. The parents ARE NOT required to file the claim together. Juries will consider who brought the claim when they decide how an appropriate award of damages. For example, the victim’s parent, spouse, or child can seek compensation for the untimely loss of a loved one and, in some cases, the financial support that was lost. The experienced and compassionate Arizona wrongful death attorneys at The Husband and Wife Law Team can help you determine whether a wrongful death claim can protect your legal rights after the loss of a loved one. Contact us today to learn more. We can be reached at (602) 267-1280.